This is a collection with FreeCell and several related games. 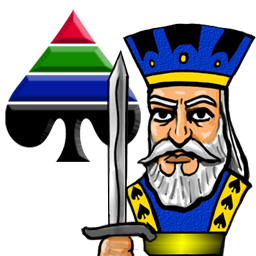 Goodsol Development has published FreeCell Plus 4.10, a maintenance update to this inexpensive collection of FreeCell and related games, available for both Windows and Mac OS X systems. FreeCell Plus includes 8 FreeCell-type games, including FreeCell itself, as well as several variations such as Sea Towers, a very popular game, Baker’s Game, the original game of this type, and Penguin, a challenging twist on the genre. In FreeCell Plus, you can play these most popular “open” games, where every card is visible from the initial deal, putting an emphasis more on strategy, rather than luck, in solving these card puzzles. The first one million deals of FreeCell are identical to the version shipped with Windows, but our game extends this to 2 billion deals, and the other games with the same general layout, Baker’s Game, Spidercells, and Two Cells (as well as three of the bonus games) use compatible deals. Playing in climb mode, you can challenge yourself sequentially to each deal of this game that is winnable in more than 99.99% of deals (and play 11981 before reaching the first unwinnable one). You can download a free 30-day trial version here for either Windows 8/7/Vista/XP or Mac OS X 10.4 or later (Mountain Lion, Lion, Snow Leopard, Leopard, or Tiger). Buy a copy here for only $9.95, and receive 4 bonus games not available in the trial version. Note that there is also a “special code” purchase available to allow FreeCell Plus to be played on all (Windows or Mac) computers in your household. FreeCell Plus is actually a reboot/replacement of an older version for Windows 3.1 that sold well (unchanged) for more than a decade. I recreated this version using our proprietary Goodsol Solitaire Engine (and none of the original code or resources), also adding the Quick Launch window. This is currently the smallest GSE game, with only 12 games in the full version (although there is another game in the pipeline with even fewer, but a more diverse selection), and the iOS version is in active development. My wife just aquired an Imac G5 and is now in the process of laerning all its great features. What she did miss from her previous PC was the use of card games such as Freecell. Your PC-equal version is a real hit with her and after a long day at work makes the Mac learning curve at home a lot easier for her. This – your work – is well done. Thank you. Would you consider writing a Spider Solitaire for Mac that is PC-equal? And, perhaps also a Hearts game? Certainly. Look at the ‘Products’ menu at the top of this blog. Pretty Good Solitaire Mac Edition, Goodsol Solitaire 101, and Most Popular Solitaire are all “PC-equal” products that include Spider (as well as Spider One Suit and Spider Two Suits). Digital Gamecraft has plans to release a Hearts game in the future, but it is much too far in the future to give you an estimated release date.